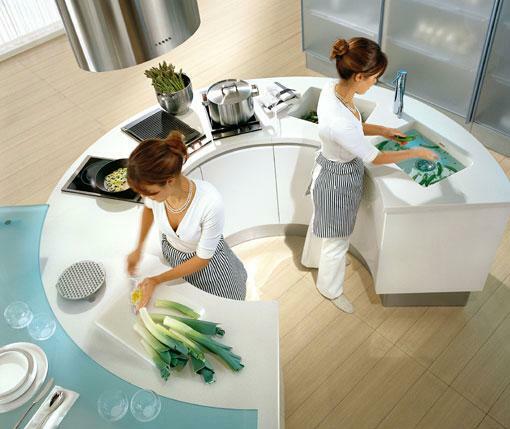 The prevailing concept of an ergonomics indicates to a highly functional kitchen designed to improve movement while accomplishing daily kitchen tasks, including meal preparation and cleanup. The design of the kitchen should be ergonomic to minimize the physical stress and prevent from unwanted issues. 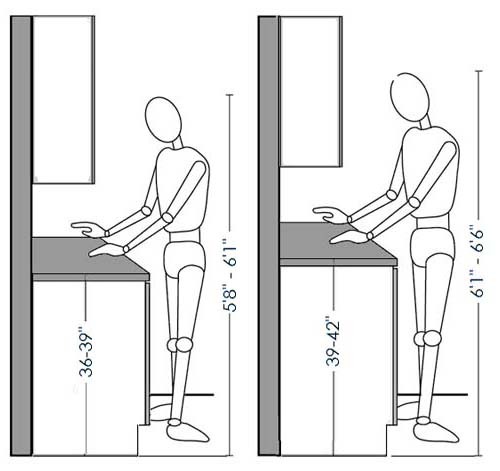 Choosing the right countertop height has always been a big issue in the kitchen ergonomic. Generally, it is assumed that a kitchen countertop having a height of 3 feet is a comfortable workstation. That is why some people accept that a 3 foot or 36 inches kitchen countertop is the best or average ergonomic height for a marble kitchen countertop. Is this height really functional in all cases? If you are not a kitchen countertop expert, you are likely to ask what height a counter be. Only a professional kitchen designer can answer this question. Broadly speaking, the average height of people falls between 5 feet 3 inches and 5 feet 8 inches. On this standard, there is a concept that the top of worktop to fall about 92 cm (36 inches or 914 mm) above the floor will make average people feel comfortable. 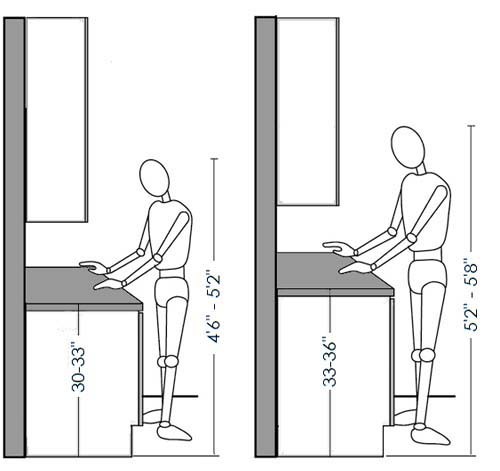 When we talk about right counter height and kitchen task for standard kitchen dimensions, you need to look into kitchen ergonomics and body posture of people. Ideally, you need to have these options during food preparation. For feeling comfortable while cooking, the food preparation surfaces should be 3-4 inches below the elbow of the cook. For avoiding splashing of hot oils, the cooking surfaces should be 5-6 inches below the elbow of the cook. For kneading bread and rolling dough, low level surfaces should be 8 inches below the elbow of the cook. What about the people who are 6-footers or below 5-footers? They are about to feel uncomfortable while preparing food with this worktop height. Leading natural stone suppliers and experts suggest that kitchen base units of 870 mm are useful for shorter users and up to 950-1000mm really makes a difference for taller users. 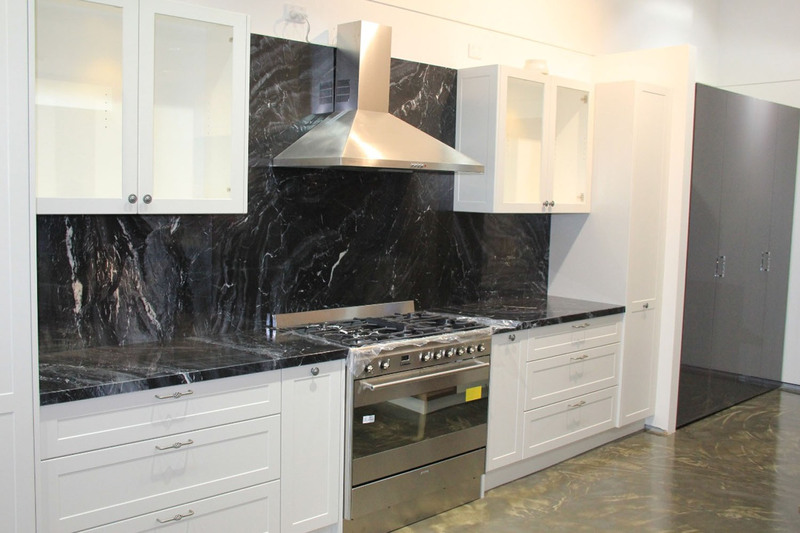 In the competitive market, you will find readymade marble kitchen countertops from certified marble product supplier that match well with your specific needs. While installing a kitchentop, make sure you give special attention on thickness of the stone product that should be somewhere between 30mm and 40mm. The standard height should be between 38”-39” for people above-average height. 32” is good for below-average height people. In case of disabled people and wheelchair users, the height of countertop should be 31”-34”. Marble kitchen countertop options: Albeta, black marine, Bruno white, carbon black, fantasy brown, Makrana white, forest green, plain green, rainforest brown, white onyx, spider green and mercury black marble. Regatta Universal Exports is a supplier of marble countertops in standard sizes. These kitchen countertops can be installed by residential and commercial kitchen users as per their own ergonomic needs.